These are the full Terms and Conditions for the Customer’s use of this website and for the purchasing of products through this website. Please read these carefully. If you do not agree to these Terms and Conditions, please do not use this website. This website is owned and operated by Cards, Comics and Games Limited. Cards, Comics and Games Ltd is registered in England and Wales under company number 10907999 at the following address: Cards, Comics and Games Ltd, 6 Ostler Drive, Worcester, WR2 6AF. Users of this website are bound by these Terms and Conditions and should read this document before proceeding. Use of this website and information on this website is subject to the Terms and Conditions set out in this document. By using this website, the Customer is acknowledging their consent to be bound by these Terms and Conditions. Cards, Comics and Games Ltd reserves, under sole discretion, the right to change these Terms and Conditions at any time, without notice. Any changes will be posted within this document. By use of this website, the Customer accepts that they are bound by the Terms and Conditions as they are written in this document. The Customer should check this document regularly. When the Customer places an order to purchase a product from this website, this order is a formal offer to purchase the mentioned product. Upon receipt of payment ,Cards, Comics and Games Ltd will send the Customer a confirmation email illustrating that order in detail, including the price for delivery. A contract between the Customer and Cards, Comics and Games Ltd will come into existence when Cards, Comics and Games Ltd charge the Customer’s Paypal account or credit or debit card for the purchase of the product. Cards, Comics and Games Ltd makes every effort to ensure that the contents listed on this website are correct. However, errors may occur and Cards, Comics and Games Ltd reserves the right to alter product prices and information on this website without notice. Other reasons for price alteration may include (but are not limited to) taxation changes or other duty increases. In the event that Cards, Comics and Games Ltd changes the price of an item due to an error, the following Terms apply. Cards, Comics and Games Ltd will inform the Customer as soon as possible of the amendment and of the correct price. The Customer may choose to fulfil their order at the correct price, or to cancel their order. If the Customer chooses to cancel their order and has already paid for the goods in question,Cards, Comics and Games Ltd shall refund the full amount in accordance with these Terms and Conditions. The Customer should be aware that Cards, Comics and Games Ltd does not consider a pricing adjustment due to a promotion, sale or other offer as an error in price, and the above Terms do not therefore apply. Cards, Comics and Games Ltd is under no obligation to fulfil an order for a product that was advertised at an erroneous price or description. Ownership of goods does not pass into the hands of the Customer until Cards, Comics and Games Ltd has received full payment and items are received by the Customer. Cards, Comics and Games Ltd will debit the Customer’s account upon placing an order. Where a release date is listed on this website, that date is subject to change in accordance to information received from the supplier of the item. Cards, Comics and Games Ltd will not be held liable if that item is delayed, brought forward or cancelled, or if the content or cover art has changed. Where a new release is cancelled, Cards, Comics and Games Ltd will cancel the Customer’s order and all costs will be refunded to the Customer’s account. Cards, Comics and Games Ltd sells a number of limited editions on this website. The availability of these items is strictly on a ‘first come first served’ basis. 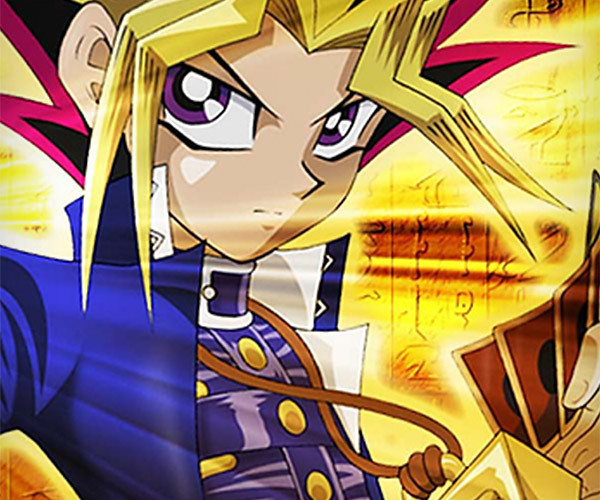 Cards, Comics and Games Ltd will endeavour to fulfil every Customer’s order; however, once the supply of the limited edition item is exhausted and the Customer’s order cannot be fulfilled, Cards, Comics and Games Ltd will cancel the Customer’s order and all costs will be refunded to the Customer’s account. 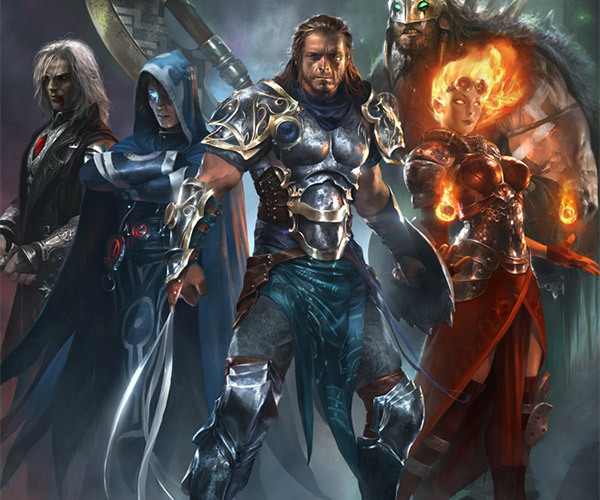 Cards, Comics and Games Ltd will not be responsible for compensating the Customer for any other losses connected with the purchase of limited edition products. Product prices on this website are exclusive of delivery and shipping charges, with the exception of the Total Price listed under the Customer’s Shopping Cart, which is inclusive of these charges. Shipping rates are calculated at a flat rate based on item type. Cards, Comics and Games Ltd will endeavour to deliver product to the Customer as soon as possible, in accordance with the Delivery Policy as detailed on this website. In the case of pre-orders Cards, Comics and Games Ltd will deliver as soon as possible after the full order is received. Cards, Comics and Games Ltd reserves the right to refuse to deliver to an address that may not be secure. This address could be (but is not limited to) a communal postal address, a BFPO or a PO Box. In this event,Cards, Comics and Games Ltd will inform the Customer as soon as possible. Cards, Comics and Games Ltd will not be liable to the Customer in the event that Cards, Comics and Games Ltd is prevented by circumstance from delivering product that the Customer has ordered. The Customer may cancel their order, for any reason and at any time, up to fourteen working days after the Customer has received their goods. In the event that the Customer wishes to cancel their order, the Customer must inform Cards, Comics and Games Ltd in writing. It is also possible to send an email to cardscomicsgames@gmail.com. In the event that the Customer has unsealed the packaging on a product, the Customer’s right to cancel no longer applies. Should a customer wish to invoke their right to cancel on any item, the product must be returned to Cards, Comics and Games Ltd in its original packaging and in a resalable condition with all seals and wrappings. If Cards, Comics and Games Ltd has not yet despatched the product,Cards, Comics and Games Ltd will cancel the Customer’s order and refund all costs charged to the Customer’s account. If Cards, Comics and Games Ltd has already despatched the product, the Customer should contact cardscomicsgames@gmail.com. In this instance, the Customer undertakes the responsibility to return that product to Cards, Comics and Games Ltd. Cards, Comics and Games Ltd will refund the cost of the item, but will not refund any postal charges paid by the Customer as part of their initial order or postage and packaging costs to return the goods to Cards, Comics and Games Ltd. The Customer must return the item to Cards, Comics and Games Ltd within 14 days of receipt to qualify for a refund. The Customer should use and include all the original packaging to return their item/s toCards, Comics and Games. Cards, Comics and Games Ltd will offer a replacement for the same product/s that were faulty or damaged. Where we cannot offer a replacement we will refund the cost of the item/s and postage where applicable. The Customer must return the item/s to Cards, Comics and Games Ltd within 28 days of receipt for faulty, damaged or defective goods to qualify for a refund. The Cards, Comics and Games Ltd website contains links to external sites. Such links are not in any way an endorsement by, or an affiliation with,Cards, Comics and Games Ltd. Cards, Comics and Games Ltd does not accept responsibility for the content of any external sites. Any goods that the Customer orders from another website are subject to the Terms and Conditions of that website and Cards, Comics and Games Ltd has no liability to the Customer in respect of that website nor any goods or services the Customer obtains through its use. All content of this website is the property of Cards, Comics and Games Ltd and is protected by intellectual property and copyright laws. The Customer may access any part of this website and download or copy material for personal use only. The Customer may not download or copy material for use in conjunction with any other website or business. Cards, Comics and Games Ltd retains the copyright for such material, or, where the owners of the material have licensed that material to Cards, Comics and Games Ltd, the copyright is retained by the owners themselves. Cards, Comics and Games Ltd reserves the right to correct any errors on this website, including description and image.Cards, Comics and Games Ltd reserve the right to refuse or cancel any website order based on an incorrect description or image. These corrections may be made after the Customer’s order has been acknowledged. Cards, Comics and Games Ltd reserves the right to decline to supply any individual or company without explanation. Cards, Comics and Games Ltd reserves the right to suspend or terminate the Customer’s use of this website at any time without explanation. It is a crime to use a false name or a known invalid credit or debit card number to attempt to order from this website. Cards, Comics and Games Ltd will prosecute any Customer caught wilfully entering a fictitious order to the fullest extent of the law. The failure of Cards, Comics and Games Ltd to exercise any right or remedy under these Terms and Conditions does not constitute a waiver of that right or remedy. Due to the nature of randomly selected sealed bags Comics Blind Bags are not returnable or replaceable. As Comics Blind Bags are made from back issues, some dating back several years all comics will be between Fine to Near Mint condition, Please Contact Us in the event of receiving damaged goods. If a single comic from a pack arrives damaged the cost of this single issue will be refunded rather than the cost of the whole bag. In the event of a refund for damaged or missing Comics Blind Bags The Customer will need to contact us. When ordering multiple bags, duplicates can occur as these packs are created in advance and are subject to stock availability. If a Customer applies an excess of Store Credit to an order with Cards, Comics and Games Ltd,Cards, Comics and Games Ltd. will only use the correct amount of Store Credit to complete the purchase. Should the Customer’s payment fail,Cards, Comics and Games Ltd. will send the customer back to the Review stage of the eVoucher. The Customer may attempt the purchase a second time. Cards, Comics and Games Ltd. will not debit the Customer’s Store Credit until the transaction has been completed. In the event that a Customer shares a Cards, Comics and Games Ltd. order between their Store Credit and their Paypal account/credit/debit card, Cards, Comics and Games Ltd. will charge the Customer’s Store Credit first and their Paypal account/credit/debit card second. In the event that Cards, Comics and Games Ltd. offers the Customer a refund on an order shared between a Customer’s Store Credit and their Paypal account/credit/debit card,Cards, Comics and Games Ltd. will refund the Customer’s Paypal account/credit/debit card first and their Store Credit second. Near Mint (NM) - Nearly perfect with only minor imperfections. Subtle bindery/printing defects are allowed. Bindery tears must be less than 1/16" on Silver Age and later books, although on Golden Age books bindery tears of up to 1/4" have been noted. Cover is flat with no surface wear. Inks are bright with high reflectivity and a minimum of fading. Corners are cut square and sharp with ever-so-slight blunting permitted. A 1/16" bend is permitted with no color break. Small, inconspicuous, lightly penciled, stamped or inked arrival dates are acceptable as long as they are in an unobtrusive location. Slight foxing. Spine is tight and flat. Staples are generally centered; may have slight discoloration. Almost no stress lines. Paper is off-white to cream, supple and fresh. Slight interior tears are allowed. Very Fine (VF) - An excellent copy with outstanding eye appeal. A limited accumulation of minor bindery/printing defects is allowed. Cover is relatively flat with minimal surface wear beginning to show, possibly including some minute wear at corners. Inks are generally bright with moderate to high reflectivity. An unnoticeable 1/4" crease is acceptable if color is not broken. Stamped or inked arrival dates may be present. Minor foxing. Spine is almost completely flat with a possible minor color break. Staples may show some discoloration. Very slight staple tears and a few almost insignificant stress lines may be present. Paper is cream to tan and supple. Centerfold is mostly secure. Minor interior tears at the margin may be present. Fine (FN) - An above-average copy that shows minor wear but is still relatively flat and clean with no significant creasing or other serious defects. Some accumulation of minor bindery/printing defects is allowed. Minor cover wear apparent, with minor to moderate creases. Inks show a significant reduction in reflectivity. Blunted corners are more common, as is minor staining, soiling, discoloration, and/or foxing. Stamped or inked arrival dates may be present. A minor spine roll is allowed. There can also be a 1/4" spine split or severe color break. Staples may show minor discoloration. Minor staple tears and a few slight stress lines may be present, as well as minor rust migration. Paper is tan to brown and fairly supple with no signs of brittleness. Minor interior tears at the margin may be present. Centerfold may be loose. Very Good (VG) - The average used comic book. Cover shows moderate to significant wear, and may be loose but not completely detached. Cover reflectivity is low. Can have moderate creases or dimples. Corners may be blunted. Store stamps, name stamps, arrival dates, initials, etc. have no effect on this grade. Some discoloration, fading, foxing, and even minor soiling is allowed. As much as a 1/4" triangle can be missing out of the corner or edge; a missing 1/8" square is also acceptable. Only minor unobtrusive tape and other amateur repair allowed on otherwise high grade copies. Moderate spine roll may be present and/or a 1" spine split. Staples may be discolored. Minor to moderate staple tears and stress lines may be present, as well as some rust migration. Paper is brown but not brittle. Minor to moderate interior tears may be present. Centerfold may be loose or detached at one staple. Good (GD) - Shows substantial wear; often considered a "reading copy." Cover shows significant wear and may even be detached. Cover reflectivity is low and in some cases completely absent. Book-length creases and dimples may be present. Rounded corners are more common. Moderate soiling, staining, discoloration and foxing may be present. The largest piece allowed missing from the front or back cover is usually a 1/2" triangle or a 1/4" square, although some Silver Age books such as 1960s Marvels have had the price corner box clipped from the top left front cover and may be considered Good if they would otherwise have graded higher. Tape and other forms of amateur repair are common in Silver Age and older books. Spine roll is likely. May have up to a 2" spine split. Staples may be degraded, replaced or missing. Moderate staple tears and stress lines may be present, as well as rust migration. Paper is brown but not brittle. Centerfold may be loose or detached. Moderate interior tears may be present. Cards, Comics and Games Ltd do not grade comic books with a value of less than £5 sterling. Comic books of the afore mentioned type will be listed as NM but are considered ungraded. Every effort will be taken by Comics, Cards and Games Ltd for Funko products to be delivered to the customer in the best possible condition by packaging products with the greatest possible care. Cards, Comics and Games Ltd will not be held liable for packaging not received in "Near Mint Condition" due to minor wear, cuts or other damage. There is no current Grading system for Funko products and as such Near Mint Condition cannot be accurately defined. Cards, Comics and Games Ltd will make every effort to list Funko products with noticeable box damage as box damaged in condition. The Cards, Comics and Games Logo is © 2017 Cards, Comics and Games Ltd All rights reserved.